Innovation comes in many forms, but never has it been as elegant and refined as the latest generation Prius. It’s unmistakable shape is the result of advanced wind tunnel testing, and when combined with a lower centre of gravity and enhanced aerodynamic features, Prius design takes on a bold new dimension of style. 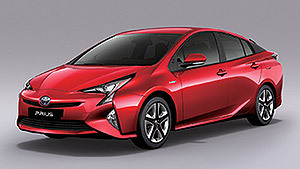 With Prius you can enjoy efficiency without sacrificing power. The 4th Generation Hybrid Synergy Drive® delivers remarkable fuel efficiency without compromising performance. 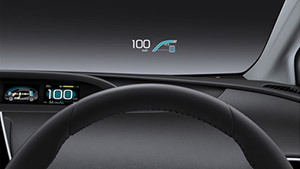 The intelligent energy management system seamlessly synergises the car’s petrol engine with its electric motor. Every Prius is packed with the latest intelligent technology. Each innovation has been developed to make driving easier, smoother and more intuitive. 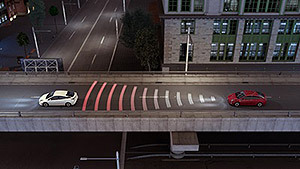 All are a result of clever thinking that strives to deliver an enhanced driving experience, in all driving conditions. Wherever you travel, whether it’s out on the open road or zipping about city streets, it’s reassuring to know when you get behind the wheel of Prius, you’re protected by some of the most advanced safety features and technology ever developed. 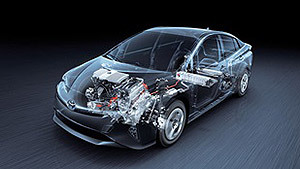 Toyota Service Advantage makes owning and looking after a Prius that much more economical. Included in every purchase is a service plan that offers up to six low cost, capped price, standard logbook services at $140 for the first 3 years or 60,000km, whichever occurs first. It’s the sort of reliability that you can expect with Prius [T1].